Some changes in the voice are normal and naturally occur with age, such as a slightly different tone or pitch. There are times when age-related voice changes create frustrating speech issues, sometimes resulting in difficulty speaking in a clear, understandable voice. If this is the case, there may be ways to counter such changes and restore clarity. What Causes an Aging Voice? Aging voice is generally caused by vocal cords that become thinner over time. Thinner vocal cords do not vibrate as well as those that are of a normal consistency. The voice that's produced sometimes comes across as breathy due to the escape of air. The extra effort required to compensate for thinner vocal cords often results in a feeling of being winded or tired after a lengthy conversation or difficulty being heard in noisy surroundings. There may be underlying issues that affect the voice over time. Vocal cord weakness is sometimes caused by progressive conditions like some forms of dementia. It's believed that a main cause of aging voice is a decrease in the amount of nerve-related connections within the vocal cords. As a result of fewer connection the vocal cords are not as efficient later in life. One of the more common forms of treatment for an aging voice is voice therapy tailored to the specific needs of the patient. During this a voice therapist teaches someone with age-related voice issues how to better use their vocal cords to produce a more effective sound to compensate for thinning vocal folds. Such exercises won't physically change the vocal cords, but specific techniques may increase projection and minimize symptoms. A vocal cord injection is a quick outpatient procedure performed while a patient is awake. During this, a collagen-like filler material is injected into the vocal cord to increase the bulk and size of the vocal cord. The two larger vocal cords are then able to contact easier, thus creating improved voice. Thyroplasty is a treatment option involving an operation to physically move the vocal cords closer together. As a result, vibrations are more effective and sound quality is improved. Moving the folds closer compensates for age-related voice changes. The procedure requires the insertion of an implant in the voice box (larynx) next to the vocal cords. Due to the vagueness of the term "aging voice," some potentially serious vocal cord conditions are sometimes the true cause of age-related voice changes. 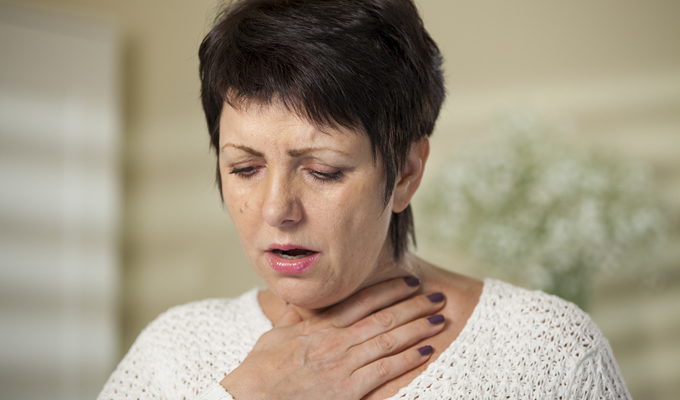 Similar symptoms may be experienced with vocal cord paralysis and cancer that affects the voice box (laryngeal cancer). A misdiagnosis of such conditions may result in a delay in receiving appropriate treatment. It is important that if someone has had voice changes that they are examined by a laryngologist to obtain the correct diagnosis.